A domestic-violence arrest is usually stressful for all involved. Unlike other types of arrests, the accusations are brought by family members and loved ones. The incident leading to the arrest often occurs where the arrested person lives. Additionally, if a restraining order was in force, additional charges may be added. Because of these unique circumstances, domestic-violence bail bonds often require additional conditions before the court grants bail. A bail bondsman can help facilitate release faster and ensure the court is satisfied that the conditions are met. 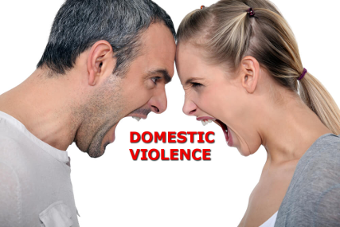 DJ’s Bail Bonds specializes in fast domestic-violence bail bonds. If you or a loved one have been arrested for domestic violence or a restraining order violation, contact DJ’s Bail Bonds as soon as possible. As soon as you contact DJ’s Bail Bonds, your bondsman will start working on your or your loved one’s release. The sooner you call, the sooner you or your loved one are freed. Call now. North Carolina courts set domestic-violence bail bonds differently than other types of bail bonds, which can delay bonding for those detained for domestic violence. Most other bail bonds are set by a magistrate within a few hours of a person’s arrest. This short timeframe applies whether the arrest occurs during court hours, in the middle of the night, or on weekends or holidays. Magistrates are on duty 24/7/365, just like the bondsmen at DJ’s Bail Bonds. In domestic-violence cases, a 48-hour rule applies. This rule states that for bail to be granted during the first 48 hours after an arrest, a judge must agree. A judge can decide to grant bail immediately or hold the defendant for the full 48 hours. After 48 hours, a magistrate would then set bail. If the arrest occurs outside of court hours, such as over a weekend or holiday, the defendant may be forced to remain in custody for the 48-hour period before seeing a magistrate. Are you concerned about being stuck in jail because of the 48-hour rule? Contact a DJ’s Bail Bonds bondsman now to discuss your options for release. All too frequently, people out on bail for domestic-violence charges make the mistake of violating conditions. Most frequently, they attempt to return home when the alleged victim also resides there. This can lead to revocation of bond and return to jail. Never make the mistake of returning home if your bail conditions prohibit it. Restraining orders are often issued after a domestic-violence incident. If you have been charged after a domestic dispute, be aware that the other party can apply for an ex parte temporary protection order, which is granted without a hearing and takes effect once the defendant is served with the order. This order may bar you from contact with certain individuals and prohibit you from re-entering your home if the alleged victim also resides there. Permanent restraining orders are granted prior to an ex parte order’s expiration. These orders require a hearing, and the defendant must be served with a summons. The defendant has the opportunity to defend himself at the hearing. These orders are valid for a year and can be renewed. If you lived with the alleged victim, the order may prohibit you from returning home. If under a restraining order, never violate the terms. A judge could revoke your bail and leave you stranded in jail for months or longer. Do you have questions about how the get bail for a domestic-violence charge or restraining order violation? Contact DJ’s Bail Bonds expert bondsmen for immediate assistance.